For maintenance and repair of your motorcycles, Laval Moto is the best choice. For 30 years, we are extremely good at taking care of your two wheels: engine oil and filter replacement, brake repair, engine diagnosis, seatbelts, pipes, fluids,… whatever your need, our team of qualified technicians offers you a quality service, quick and reliable. Laval Moto received for five years in a row the award of the best Suzuki service in Canada. There’s no better proof of the competence and precision of our teams. 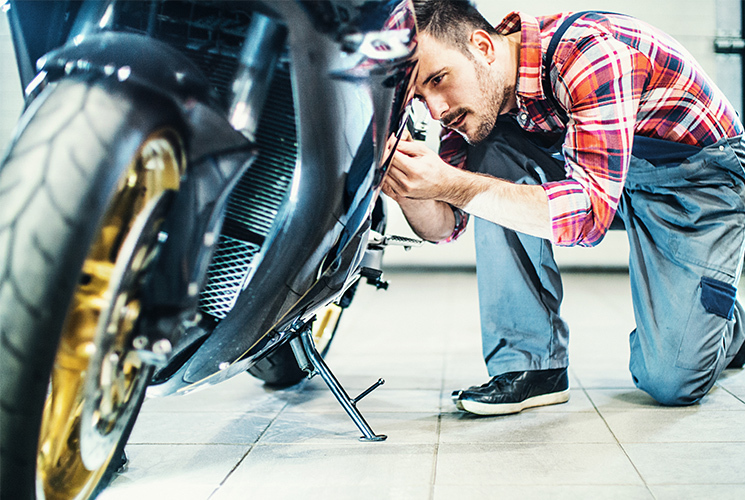 Make an appointment right now with our repair and maintenance department of motorcycles and you can rest assure that you will receive the best service. We also provide storage for your motorcycle. Before heading back on the road in the spring, check your bike! Before you ride your motorcycle for the first time after winter storage, some controls are essential to enjoy your two wheels safely. For Easter, Laval Moto will be closed Monday, April 22!